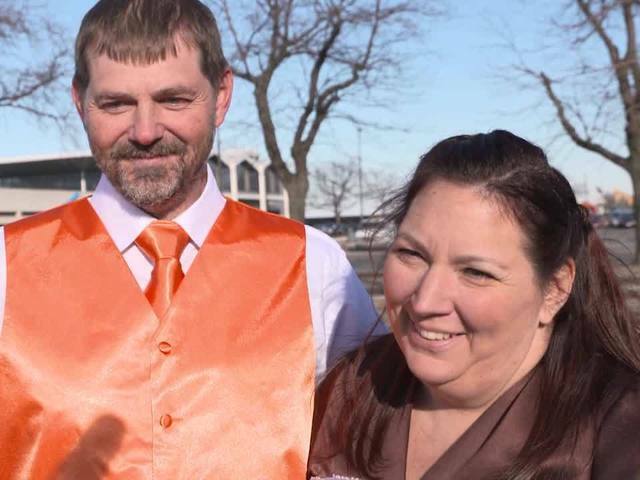 A couple of Browns fans became a married couple of Browns fans Monday after they wed in the Municipal Lot in Cleveland before the Ravens game. 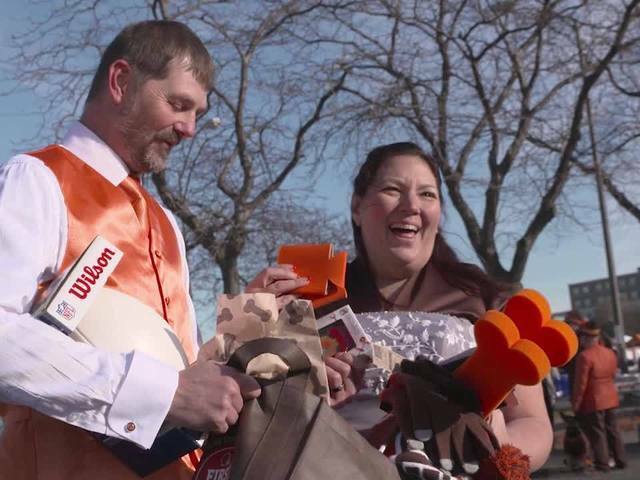 The Cleveland Browns Tweeted about the wedding, and Chomps was one of the 100 or so who attended. Check out the videos from the wedding above.